GstarCAD launched GstarCAD MC, which is CAD software for mobile clients. It can be used for mobile terminals such as iPhone, ipad and android platforms. "The medical market is only the beginning for bionic exoskeletons,"
By identifying pallet defects accurately and reliably, SVI is expected to reduce scrap and raw materials, while improving the consistency of overall pallet quality for CHEP customers. 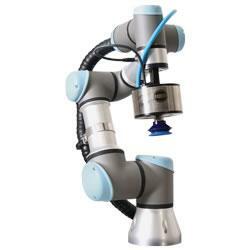 CTG is responsible for developing sales of Adept's industrial robotic solutions, including popular Quattro™ parallel robots, Cobra™4-axis robots, Viper™ six-axis robots and Python™ linear modules. The partnership to launch Industrial Automation North America 2012, Deutsche Messe's first industrial automation event in the North American market, was established by Deutsche Messe and AMT in 2010. A nose is a nose, or is it? An electronic nose has a gas-sensor array sampling system and a signal processor coupled to a recognition system, where the sampling system moves vapor laden air into the sensor array. It could even work similar to a passive smoke detector. STOPS engineers found the native Galil programming language easy-to-use, which helped enable them to incorporate several safety routines into the operating system. For example, whenever the controller does not receive a data stream, it goes into a fail-safe routine that brings the vehicle to a stop. Prof. Jose Luis Contreras-Vidal is leading a team of engineers at the University of Houston that are close to a new breakthrough that could allow disabled people to use the exoskeleton using only brainwaves. 09/11/12, 08:28 AM | Industrial Robotics | Photron, Inc. The FASTCAM SA-X RV is the latest Range Version camera to see regular use at the US Army's Yuma Proving Ground (YPG) where temperatures regularly exceed 110F.